Hemp buds of Antal variety with 2% CBD - 5g. Hemp buds of Antal variety with 2% CBD. Without seeds, suitable for vaporization. Pleasant hemp taste and smell with a relaxing effect. Ideal for use with our Cannadorra vaporizer. CBD vaporization is it healthy at all? The essence of vaporization is that there is no burning, so instead of poisonous smoke, we inhale steam that is harmless to the organism. All the studies that have been conducted so far suggest that vaporization can significantly reduce the incidence of smoke inhalation, as well as reduce the intake of toxins into the body. This means that this method is the least harmful way of absorbing the substances contained in herbs. You can verify this without costly studies - anyone who goes to vaporization will feel very quick to improve their airways! The story does not concern me directly, but my husband. In March 2016, a malignant brain tumor was discovered. Immediately followed a successful operation. In two months, he had 30x radiation, and I was looking for information to help him and read about your oil. Now her husband has been honestly enjoying her second year and everything is fine. Even doctors do not believe he is still alive. The medication is not used, just 5% CBD HEMP OIL. I had breast cancer, including surgery, chemotherapy, irradiation, and hormone therapy. Today, I know I would not choose it all and treat natural medicine like hemp. Now I live differently, I am informed about alternative possibilities and I do not place my life helplessly in the hands of the doctors. When my father also became ill for prostate cancer, I was just getting to read about the possibility of hemp treatment, namely CBD and THC, and these are stunning. It is a pity that marijuana, especially the THC component, is still considered to be a dangerous drug (even though no one has ever died on it), which has been on the ground for over a hundred thousand years and has always treated it before it has banned it to produce its "cancer-causing" drugs. CBD oil is a great versatile medicine, a food supplement, and it is important that it be enriched with THC. I just have to add that I took CBD in pregnancy even now during breastfeeding and I have been managing for 5 months without sleep. I love your products and I am happy to support you. It personally helps me the hemp tea in the evening before going to bed to relax. It calms down in a very gentle way. For about a year, my family and I have been drinking CBD and CBG tea daily with oil. In the evening for a better sleep, during the day when stressed or unwell. In pain with a drop of CBD hemp oil 5%. So we hardly need any more painkillers and no other drugs for reassurance. My heart rhythm disturbances became less frequent, the sleep deeper, falling asleep faster. Tea and oil are excellent, have no side effects and we got used to the harsh taste quickly. We also apply the CBD hemp oil drop by drop on the skin to achieve an intensive regeneration. I use the CBD e-liquid in an electric cigarette. I'm a chef in a restaurant where there is really busy and it helps with the stress. Moreover, I'm forbidden to smoke grass so it suits me. I like to use CBD hemp oil before going to sleep. It's like a nice herbal ritual and it has greatly improved my sleep over the last months. I fall asleep more easily and I don't usually wake up during the night. If you're in need of deep sleep, try it. My mother has Alzheimer's disease and classical treatment causes unpleasant side effects - aggressive states that are suppressed by damping agents. My mom was apathetic after them, motorically very bad, incontinent, and with no interest in the surroundings. I tried to try alternative therapy and I was looking for what could help. CBD Hemp oil alias Phenix tears I discovered on your site and tried to feed my mother. We have been using it since June, and my mom has improved dramatically. We reduced the dosage of damping drugs, aggression disappeared, improved incontinence, motor skills, and communication skills. I know that this terrible illness cannot be cured, but I am grateful even for a small improvement, and I can just ascribe hemp. Nature has a solution for all, we are part of it, and we should use ourselves with the humor of what it gives us. So thankfully I thank you for using hemp to treat my mother. Our story has just begun. Martinek, our son, has changed after vaccination. I'm afraid she's not an autistic or if she has no developmental dysphasia. He sleeps bad and does not understand the instructions. Otherwise, it is a loved angel. I have just started to deal with it, but the first step was to recommend ordering CBD hemp oil. We take it for 3 weeks, and we start to make changes right in front of our eyes ... more focus, sleeping better, sleeping without problems, and it seems to me that understanding improves! The oil does not taste him, and we gave him it with "violence", and suddenly one night, as always, he repeated how it would help him that it was medicine, and he looked at me, listened, and suddenly opened a wide mouth and let drop himself! I was moved, and I believe in a miracle that everything is good in our country. It's the story of my son Tommy. It is an epileptic, and psychogenic seizures have evolved. It's the story of my son Tommy. It is an epileptic, and psychogenic seizures have evolved. After I informed my doctor about the special epilepsy clinic that I did not want his medication to change again, the doctor was surprised. That day I first ordered hemp oil and gave it to my son .. the seizures were like a miracle gone for at least 6 to 8 weeks. Then we had to start giving more drops. It was a miracle for us. I have come to use the CBD because my son has epileptic seizures. Since he started using the CBD, his bouts have fallen dramatically! Hemp oil is used by my husband for over 2.5 years as an add-on to cancer treatment. Thank you very much for being able to buy it on your site because I think this oil also helps make it feel a bit better in difficult treatment. Even our family members are being ordered by our recommendation, which we have just recommended. Thanks again, and greet you in the Cannadorra :-) oil is unique !!! My son Valdemar has ADHD and when we tried the CBD hemp oil, we noticed that the oil improved its condition immediately. His sleep has improved as well and it's quieter. My first encounter with CBD oil was when my best friend in life - Labrador Buddy - got sick. He suffered great pain as a result of spine collapse and kidney failure. I was looking for a natural cure for him to keep the kidneys out of chemistry. Of all the natural resources, I found the best - hemp. I started giving him hemp oil. First 5% then 10%. The results were above expectations. My dog friend does not live anymore otherwise. But the CBD oil has made his life extended and more pleasant. And so, began my preference for natural medicine a few years ago. I myself use CBD oil that helps me with borreliosis, tried it and part of my family, and I'm also helping to bruise the animals and I really use it. Hemp in the form of ointment, oil, syrup, tea has become part of the life of our family and animal friends. I have suffered from oral dermatitis for many years. For a woman, it is horrible, my face is as harsh as a shine. They were cheating me on skin corticoids, it was a journey to hell. When I bought a hemp cream, it was good, but when I discovered hemp oil, I bought it even though the price was higher. And after problems, the oil acts like a small miracle. This will help you in the skin and so I would like to make dermatological effects for other affected women as well. I have bought liquid and tea and I am fully satisfied. I have bought liquid and tea and I am fully satisfied. About 1 hour before my bedtime, it helped me a lot to find my peace and it relieves my pain. Also, I have read that it probably adheres to a liver damage to something like receptors on the liver and possibly prevent cancer. Hello, I take the hemp tea extra for about 4 weeks in the evening. Already on the third day, I was able to fall asleep much faster and sleep well at last. In addition, I recently use the e-liquid and feel more relaxed during the day without being tired. Would recommend the products in any case, and also the provider. Do you need professional advice how to use hemp as medicine? We grow premium hemp to manufacture 1st class hemp products for your healthier life. All presented hemp products are 100% legal according to EU legislation. They are made from legal agricultural strains of hemp which contain the legal level of THC (less than 0,2%). Hemp seed is used for the production of oil, protein and also for direct consumption. Hemp herb is used for CBD extraction, tea, and ointments & cosmetics. All our products are NOT psychoactive. 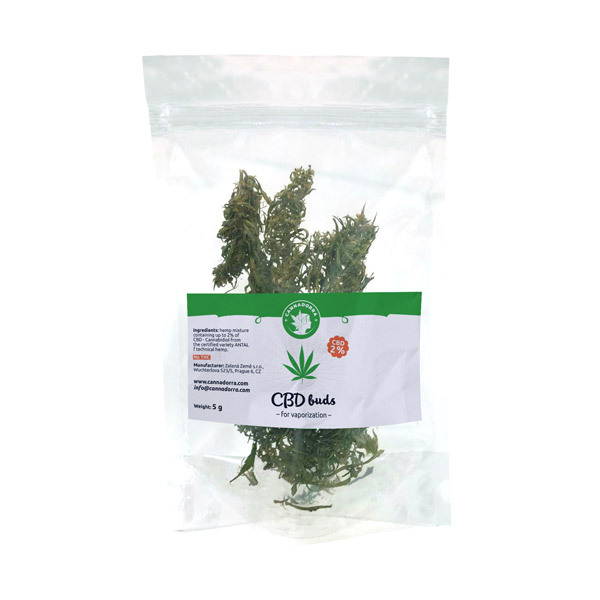 Cannadorra.com offers a complete range of hemp, CBD products & foods. All EU mostly organic production. Hemp Ghee containing CBD and CBDa. 220 ml. Gluten & lactose-free. The Cannadorra Store has been awarded the prestigious "Verified by customers" certificate thanks to its proven customer satisfaction. Hemp has great medicinal and nutritional properties. It can be used against many diseases or just as a prevention and source of vitality & longevity.